The Western Region of BR adopted diesel hydraulic traction rather than diesel electric. 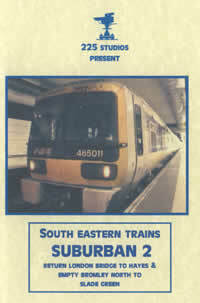 Nearly 400 examples, both express, mixed traffic and shunting were introduced from the late 1950s. By 1977 they had all gone, save for a few preserved examples. We start with the original A1A-A1A D600 Warship Class 41 and a short B&W sequence of D600 leaving Paddington with an express and then passing Par. 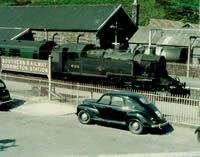 A D6xx in green with a yellow warning panel passes Lostwithiel and along Dawlish Sea Wall. Green D601 "Ark Royal" on shed contrasts starkly to a later scene on the Barry scrap line with blue liveried D600 "Active". The Class 42/43 Warships, in both maroon and green, are seen on the GW Main Line & in the West Country including scenes at Dawlish, Penzance and Par. Over to Waterloo for Warships of all colours including a short cab ride in D809 "Champion" as it departs. Back to Paddington for Warships double-heading, a blue Warship crossing Saltash Bridge and green D850 at St.Erth. Inside Swindon Works for views of Class 52 Westerns being built. A rare shot of Desert Sand "Western Enterprise". The comings & goings of a vast variety of maroon and blue Westerns on expresses at Paddington, out on the GW Main Line, Bristol, Dawlish Sea Wall, Newton Abbott, Plymouth and Penzance plus freight trains in the snow and china clay trains. 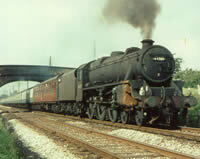 Also featured are a number of rail tours such as "The Western Talisman" from Kings Cross and the "Western Finale". Over 30-mins of pure Western nostalgia! On to Class 35 Hymeks and with b/w film we peek inside the Beyer-Peacock works during their construction. Out on the main line and green and blue Hymeks on a variety of passenger trains including double-heading with steam. 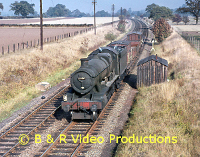 We see NBL D63xx Class 22s shunting at Coleford and Boscarne Junctiom plus extensive footage of D6346 shunting at Charlbury! Scenes from a bygone era. Look out for the man with the pole! 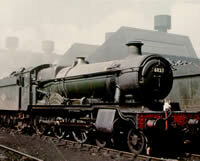 Finally, the Class 14 0-6-0 "Teddy Bears" and shunting at Coleford Junction and Lydney with D9555. Many Class 14s were sold into industry and we feature No.28 in industrial use. Apart from a few early scenes in black and white, most of the footage is in colour and the film has an extensively researched commentary with an authentic sound track. .